Rima Khan heard about what happened in New Zealand, but she doesn't know all the details. "But I do know that 'something terrible' happened, and many innocent people were killed," she said. And even though New Zealand is "far, far away," nor does she know any of the victims, the terror attack in New Zealand "felt so close," said Khan, a sixth-grader at Casey Middle School and a Sunday School student at Masjid An-Noor mosque in Amherst, where a vigil was held Sunday afternoon to show solidarity and to honor the victims of the mass shootings at two mosques in New Zealand Friday morning that have left at least 50 people dead. The suspect, a 28-year-old Australian named Brenton Harris Tarrant, has been charged with murder. "It felt like it could have been me," Khan said. "The victims' mosque looked similar to my own. 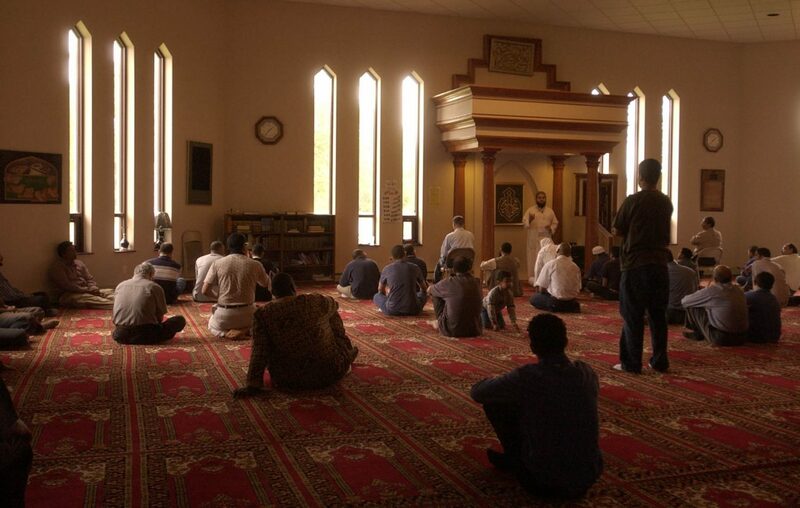 To me, our mosque is not only a place where I come to pray. In fact, it's like my second home. It's a place where I'm able to meet my close friends and I am able to learn more about my religion." More than 250 people of different races, faiths and cultural backgrounds filled the seats, lined the back wall and overflowed into the hallway at the Islamic Center and mosque on Heim Road. About two dozen speakers, including Khan and Lt. Gov. Kathy Hochul, gave messages of love, tolerance and hope during the two-hour event, which was organized by the Islamic Society of Niagara Frontier, Muslim Public Affairs Council of WNY and Western New York Muslims. Kristina Church, a Unitarian Universalist seminary student, who has taken her 8-year-old son Rafael Gregorius to various immigrant support rallies in the area over the last few years, thought it was important to bring him to Sunday's vigil after they talked a bit about what happened in New Zealand. "So I asked him if he wanted to come after explaining what had happened in a way he could understand, and he said yes," Church said. "Even knowing that it was a little bit hard for him to pay attention, I still felt like it was really good for him to hear some of the messages that were here and I don't know what he's able to absorb but I hope that some of that went into his little brain and the wheels are turning." Khan said her parents tried to explain to her what happened in New Zealand, but it made no sense. "A billion thoughts filled my head like, 'Why were these people killed and what had they done wrong? How was the (man) who survived the war in Syria but was killed in New Zealand a threat to anyone?'" she said. Even though the killing spree happened far, far away, it has changed Khan's way of life here, she said. "My parents used to drop me off at the mosque and not worry about a thing. But now they worry about me just going to the parking lot. Now it's different. We have security guards and limits when going outside," she said. But she will not let hate win. "I will continue to come here to pray here and to enjoy my second home," she said. "Ever since I was little I have learned that I should leave my trust with God or Allah and in his house I should be safe and I hope to continue to be safe."